Please refer to our stock # 20190002 when inquiring. 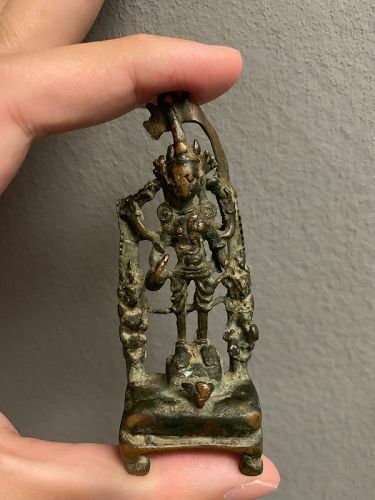 A bronze Vishnu, India, Pala Dynasty, circa 11th century. Condition: part of halo previously damaged but in stable condition.